WT Birkalla remains top of the table – on goal difference – but Ryan Kitto wonders how his side left empty-handed. “It was an even game. They were good enough to take their chance, we didn’t take ours and that cost us. Ben Moore made one freaky save,” he noted. Kitto had the best chance of the first half, but could only glance a header from a corner wide of the far post minutes from the interval. The winger burst past two Campbelltown defenders early in the second half and drilled a low cross to the back post yet Lawrence D’Arrigo could not guide his shot on target. McSorley’s cracking 55th minute drive hit both posts and got the better of goalkeeper Julian Torresan, with Matricciani tapping in from close range. Scott Nagel crossed for Taro Kawamura’s header which was superbly saved by Campbelltown custodian Ben Moore from point-blank range. 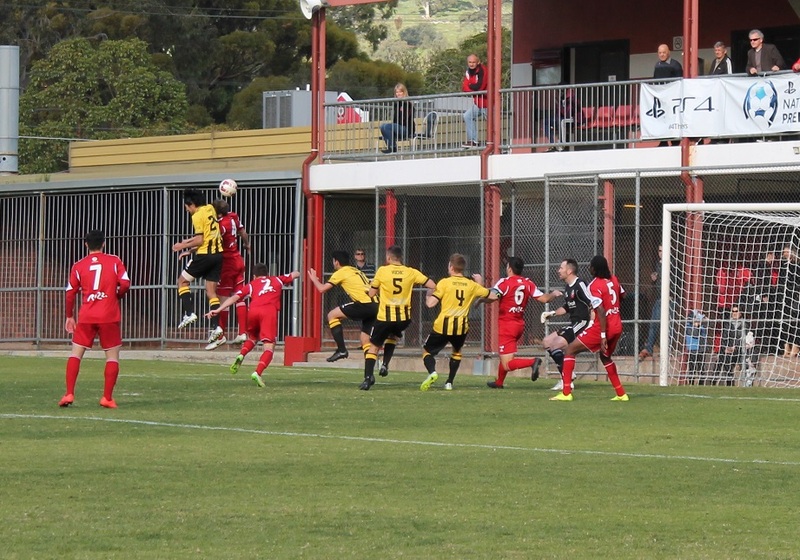 Birks should have equalised in injury time, but Paul Radice’s free header from a promising position went over the top after Kitto’s free kick. 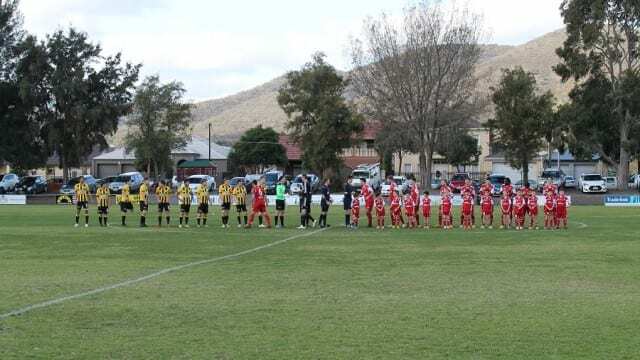 The boys will now set their minds to the Round 23 game against Adelaide Blue Eagles this Saturday 25th of July at Marden Sports Complex where the boys will hope to rebound from the weekends loss. Kick off is at 3 pm. A game of 2 halves is the best way to describe our performance against Campbelltown. The first half saw Campbelltown dominate possession but only scoring from a corner which we failed to mark at. They were sharper and quicker than our boys but having 3 or 4 players starting for the first time in a long while contributed to that. The second half changed from kick off as the Birks boys pushed forward and created several good chances and started to keep the ball better as the game wore on. Michael Mangafakis eventually levelled the scores after a great run from Anthony Tropiano. After some forced changes we let Campbelltown into the game again. After missing more chances we conceded a late goal to lose the game 2 – 1. 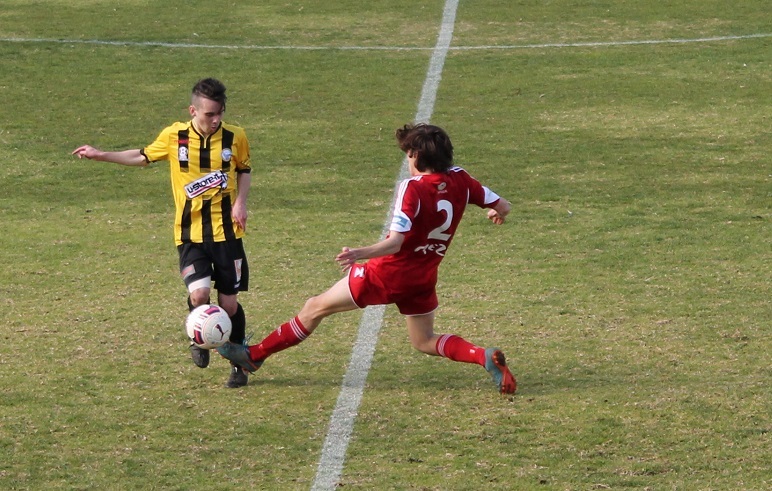 Ned Spiniello again dominated in the centre of midfield, Anthony Tropiano and Liam Bernhardt also were in our best. Congratulations and well played to Manny Kontos and Ewen McDonald who both made their Reserves debuts.